LadyFingers Pittsburgh Catering offers a fabulous Brunch Menu for your special event! If you are planning a bridal shower, a baby shower, a morning meeting or a civic get-together, these delicious and creative brunch selections will garner rave reviews! 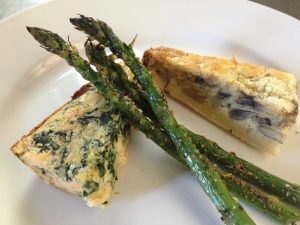 Our latest menu features breakfast breads, finger foods, bread puddings and brunch casseroles, quiches and tarts, crepes, salads and sides. Plus, LadyFingers will customize a Brunch menu to suit your individual event. Check our menu and then contact LadyFingers Pittsburgh Catering for more information!